Good environmental news today: The U.S. Environmental Protection Agency (EPA) says that available air quality information indicates that 39 states are meeting the health-based national air quality standards for lead set in 2008. Based on 2008 to 2010 air quality monitoring data, EPA also determined that Illinois, Iowa, Kansas, Michigan and Puerto Rico each have one area that does not meet the agency’s health based standards for lead. 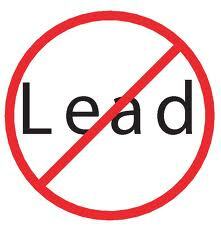 Exposure to lead may impair a child’s IQ, learning capabilities and behavior. The agency also is identifying three areas located in Tennessee, Arizona and New York as “unclassifiable,” meaning that available information is insufficient to confirm whether or not the areas are meeting the standards. EPA says it will take further action once additional information is available. National average concentrations of lead in the air have dropped 93 percent nationwide since 1980, largely the result of the agency's phase-out of lead in gasoline. Lead in the air comes from a variety of sources, including smelters, iron and steel foundries, and piston-engine aircraft operating on leaded aviation gasoline. Can lying lobbyist crook Jack Abramoff save America? Is your business is complying with stormwater rules?